Teaching crafts? It’s tons of fun, but it also takes a lot of organization and creativity. Here are 10 tips from the craft pros to set you up for success. Address labels or VBS 2018 Sticker Name Tags can be used to put kids’ names on their crafts. Place individual craft supplies in ziplock bags. Kids will have what they need and can place their completed craft back in the bag to carry home. Collect the supplies needed for each craft and place them in individual bags. Write the name of the craft on the front of each bag for easy identification. Start early if you need the congregation’s help in collecting items. 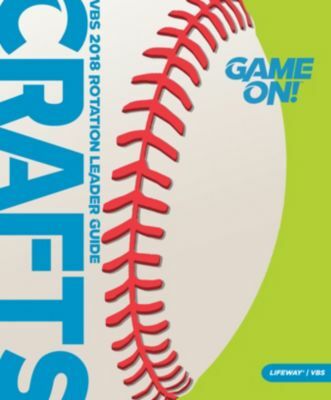 Look for alternate crafts in the 3s–K Rotation Pack, VBX: Preteen Bible Study Leader Guide, Adult Leader Guide, Student Leader Guide, and on LifeWay VBS’s official Pinterest board. Make a sample and think about your kids. As an adult it may be easy for you, but will it be for a group of 25? Remember it may take you only 5 minutes, but kids take longer to process and complete a project. Develop a plan for early finishers. Will you have a second quick craft kids can complete, a small game to play, or maybe a large sheet of paper on the wall where kids can create a mural? Give one instruction or step at a time. Kids are generally not efficient with multi-step directions. Ask them to place their hands on their heads when they complete a step to gauge whether it is time to move to the next step. Prep your assistants on how to make each craft. Assistants can then work with smaller groups of kids while you give them the main instructions. It is about the process not the end product. It is okay if a child’s craft doesn’t look like the sample. Ask kids to line up against the wall or gather in an open area for brief instructions and Bible story review before allowing them to go to the tables. Ask kids to recall elements from Bible study. Tell kids how the day’s craft can help them remember what they learned about the Bible or The Point of the day.